Reprinted with permission from the book Personalities on the Plate: The Lives and Minds of the Animals We Eat. Copyright © 2017 by Barbara J. King. Published by the University of Chicago Press. All rights reserved. Barbara J. 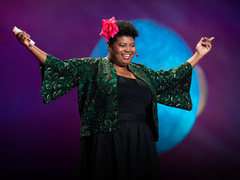 King is speaking at TED2019; her talk will be posted here as soon as it is available. Barbara J. King is professor emerita of anthropology at the College of William and Mary, where she taught for 28 years. She is the author of the books "How Animals Grieve" (the subject of her TED2019 talk) and "Evolving God," and her work has been featured in The Best American Science and Nature Writing and on NPR’s 13.7 Cosmos and Culture blog.